"In America, if you try hard and work really hard, there is a lot of opportunity." Pamela arrived in Santa Barbara from England in 1956 with her husband, David, and her 4-year-old daughter, Jeanette. Almost by chance, they became managers of the Hacienda Motel, and eight years later bought the Pepper Tree Inn. Now Pamela is the owner of the Santa Barbara Hotel Group that owns and operates five hotels with a total of 367 guest rooms. 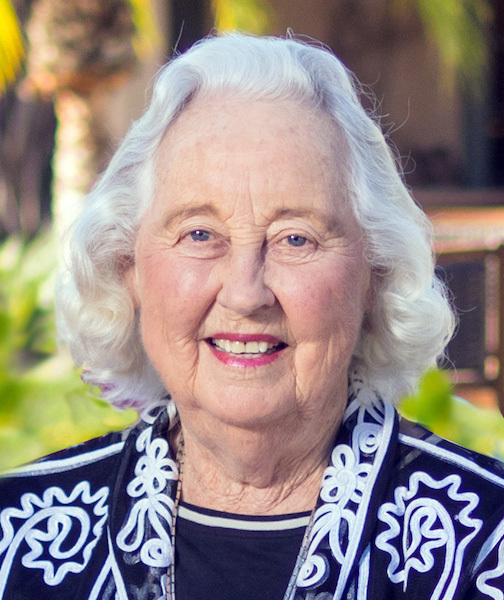 She has devoted much of her life to making Santa Barbara a destination for tourists by creating the Santa Barbara Scenic Drive and co-founding the Visit Santa Barbara Committee. She also established the city's waste reduction and cleanup program, Looking Good Santa Barbara. Pamela is certainly deserving of this Rock Star Award.